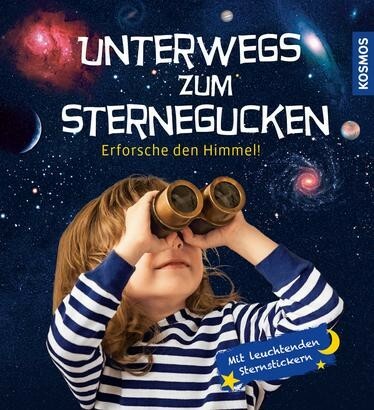 Product information "Unterwegs zum Sternegucken"
Heading for stargazing: Everyone knows the Big Dipper, but who even knows where in the sky Orion is located? Constellations can be easily discovered with the revolving celestial chart, which is divided into summer and winter sky. These discoveries can then be entered into the research log. Additional pages offer any number of memorable additional facts for little hobby astronomers. Justina Engelmann is a certified astronomer and also works as a lecturer and author. Together with her husband Klaus M. Schittenhelm, she has already written successful books for beginning stargazers.